This strategy looks at how technology can be used and developed to deliver more sustainable design. 3D printing is a method that is quickly becoming more advanced, and more accessible. I couldn’t believe it when I was browsing in the Science Museum gift shop on Saturday, and on sale was a “Makerbot”- a 3D printer for the home (i’m not convinced how many homes at the moment, at nearly £2000 I certainly couldn’t afford one yet!). Many consider this technology to be a more sustainable production method because of it’s precision, and the fact that there is less material waste from off cuts etc. The design can be incredibly accurate and refined digitally before any physical material needs to be used for making sketch models too. Freedom Of Creation are a design group that have built their business on exploring 3D printing. 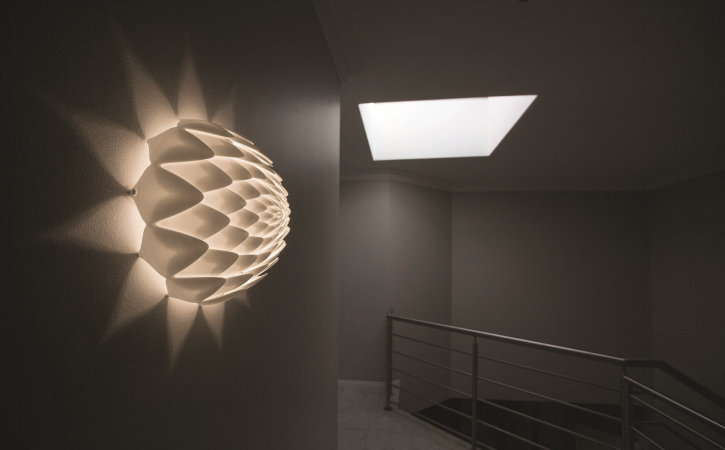 They have developed accessories from jewellery to phone cases to bags, all the way through to interior products such as lighting and furniture and even entire walls. I Love the creation of pattern and texture that is achieved. The lighting products especially are very atmospheric and cast intriguing shadows. The wonderful thing about Freedom Of Creation is that they share “product sheets”- PDF files that explain the process, design drawings, and used materials of each product they sell. 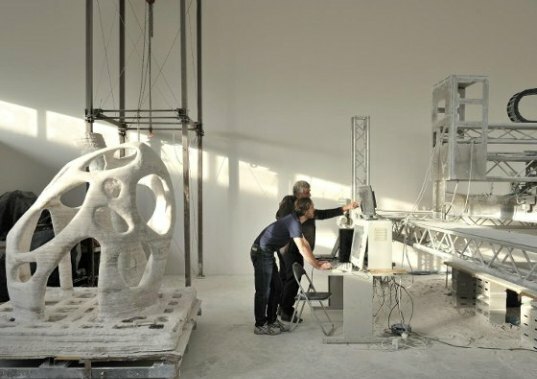 Enrico Dini, also know as “the man who prints houses”, has helped to develop the D-shape printer, a 3D printer capable of printing large structures, using materials that mimic stone or concrete. By using this technology he hopes to transform the way we construct our environment. 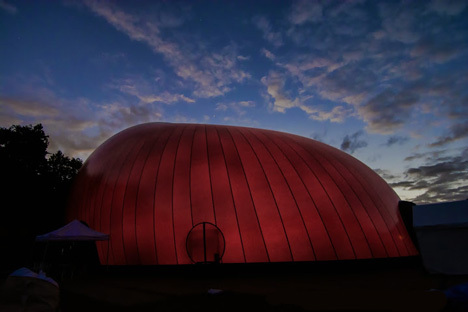 Anish Kapoor is an artist who utilises technology in his work. It allows him to take on an architects role and design buildings. In recent years he has collaborated with architects like Arata Isosaki , and been involved in many projects that offer relief to places that have been stuck by natural disasters. The Ark Nova was commissioned in response to the earthquake and tsunami hit Japan. It was an enormous inflatable dome that was easy to inflate, and when deflated it was easy to pack up and transport to another region. The Ark Nova was used as a concert hall, and hosted music, dance, theatre and art. The Ark offered hope, entertainment, joy and the sense that it was possible to re build communities after such a disaster. 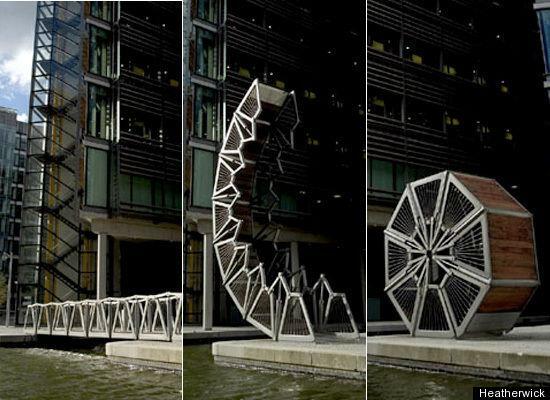 Another designer/architect, Thomas Heatherwick, whose projects are vast and varied, has often made use of technology to design products that are innovative, exciting, familiar yet wonderfully new. A really good example of this is his Rolling bridge. The mechanical bridge elegantly curves away when boats need to pass. It acts as a piece of sculpture as well as being incredibly efficient and practical. I am not a huge lover of technology. I think I am just old fashioned and have the impression that going digital takes the physicality out of designing, somehow dilutes the process and eliminates individual and creative thinking. But maybe I am under the wrong impression. Perhaps when technology is used as a part of the design process, it can offer fresh and engaging design in a more sustainable and resourceful way.